Want to be the newest member of the “Pilots of Instagram” club? 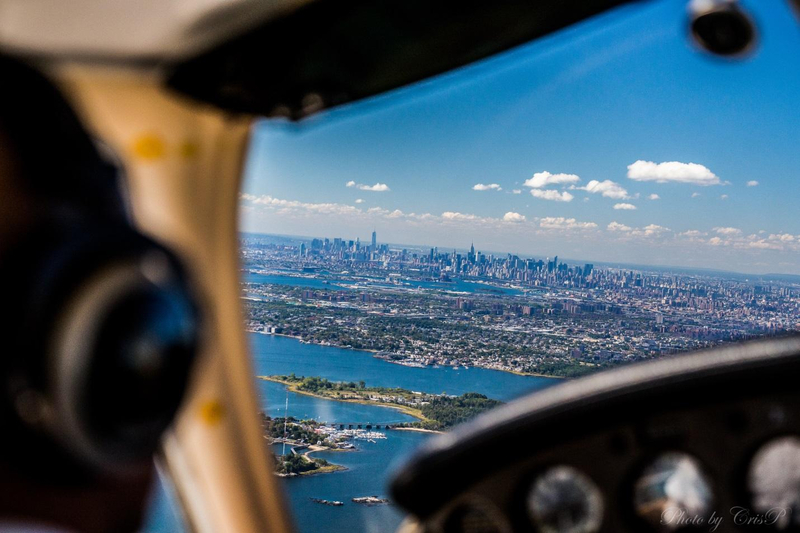 In recent weeks, the aviation community has come under scrutiny for images pilots around the world have been sharing from our office view. If you are a new to the aviation community, the view from the cockpit is known as “the office”; it is the aviator’s place of business, so to speak. Our office provides us with sights like no other: un-obscured, pure and from a vantage point into the far away edges of our shared planet, which are rarely viewed in entirety. So you want to take pictures while flying? Criteria: a visual recording device to meet the following minimum requirements: Waterproof/water resistant, accessory capable and RAM suction-cup mountable, workable in extreme temperature changes 0‐120 degrees, quality of image above 10MP. Will the location hinder your ability to fly the aircraft safety? Does the location and mounting device put any safety concern to the airframe or create an in-flight hazard? Can the unit be easily removed or accessed should it become necessary to do so? This five-part series will be dedicated to explaining the usage of electronic devices for recording during any phase of flight. We will summarize the FAA regulations, practicality of when to use such electronic devices, emphasizing good judgment, single pilot resource management, and most importantly safety tips for each of the questions presented. Now to help you make a decision, the following is my opinion regarding each category of recording device. Being the most capable in terms of professional quality photos, it is also the largest and most complicated to set up. Due to the larger size of these cameras with the high quality lenses, you are limited to placement within the cockpit that does not interfere with line of sight out the windows or provide any view outside of the aircraft. The weight of the camera also comes into play, requiring specialized mounting systems to carry the additional weight in the desired position. In addition, if you have a passenger, their comfort during the flight becomes secondary with the setup utilizing valuable interior space in their seats, which becomes a concern should there be an emergency. My suggestion is for this type of camera to be utilized only when you have a dedicated camera person who can set up the camera for each subject being photographed. I have found when operating an aircraft solo with this type of camera, your focal settings at higher altitudes do not work at lower altitudes; nor do they work when you change from and interior view to exterior. The manual settings provide you with the greatest opportunity to get great photos. But when acting as PIC, the time needed to switch settings compromises flight safety and your end product rarely results in better quality over point and shoots due to not being able to adjust settings as needed. This camera is well suited for professional presentations or special flights that you want recorded for commercial and/or memories ideally being operated by a seasoned photographer. Basically it is the simplest since you just point in the direction and let the device handle the settings automatically with each frame taken. Video quality has been satisfactory and during certain phases and direction of flight impressive due to the capability of the lenses’ automatic focus and direct sun to low-light transitions processor capabilities. Realize that these is a lag in the transitions at times, which results in blurry segments of video recordings and even during individual pictures since the automatic focus has picked a focal point besides your intended subject matter. The processor also gets confused at times with the glare from the sun and during phases of flight where you turn from direct to indirect sunlight while turning. Point and shoots are great for pilots flying solo since it is a dedicated device that is simple to use by just pressing the button to take the picture. The mounting options are infinite as well as placement due to the compact size and minimal weight. Also great for cross country flights where you have ample opportunities while in cruise flight to take in the scenery during your scans and take instant photos when the opportunity presents itself. This unit I find ideal for short training sessions in a practice area or pattern versus long cross country flights due to the lack of battery life. Recording a particular phase of flight such as landings when in range is an ideal scenario for this adventure camera. Of the options, this would be your most versatile electronic device. The utility functions are used daily and outside of your aviation experiences very frequently, which makes the purchase price very reasonable for the daily usage you can achieve in all your daily functions. The concerns I have had when utilizing the cell phone have always been the lack of mounting accessories and the resulting photo quality not being on par with the three other categories, which are each a dedicated device for audio visual recordings. In addition the cell phone does provide you with the capability of communicating with others should you have an in-flight issue or need to communicate with person on the ground in the case of an emergency when you off course have reception. This brings me to the issue of the cell phone having unreliable reception, which in turn drains your battery. You may find that just leaving your phone on during a long cross country could deplete the batteries by the time you get to your destination because the phone is continuing to search for signals while in flight. It is advisable to shut your phone off during flight because the electronic field being generated can and will interfere with your navigation capabilities. While it may not hinder navigation, it could cause deviations from the expected course should you be utilizing the compass or VOR for navigation. Lastly, the multiple capabilities of the cell phone do become a distraction since you need to navigate for the desired application. I would recommend cell phone camera usage only for extremely limited use since the required application navigation and inability to mount the unit in usable locations distracts you from flight operations in a higher capacity. The ability of your phone to get text messages and calls during your flight adds to the distraction for which I have found myself and other pilots getting caught in that trap. Aviate, Navigate, Communicate, and always keep safety a No. 1 priority in all phases of flight. The FAA regulations for use of electronic devices for part 121 operations are linked here. Part two of our series will review “Placement and Operator Regulations” when utilizing electronic devices. Please send any questions to aalvarez@lpawings.com. This entry was posted in AeroMail newsletter and tagged AeroMail, Alvarez Series Photo. Bookmark the permalink.